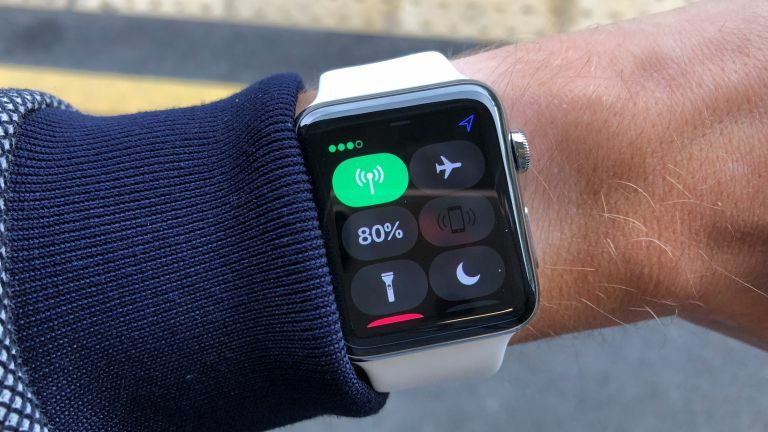 As we've previously reported, the Apple Watch Series 4 will come with a larger screen and more accurate heart rate monitoring, now, if this patent comes to fruition, it looks like the Apple Watch may also be getting smart straps. These smart straps could monitor your health or provide extra battery life. The new patent, which was first reported on by Apple Insider, suggests that Apple is looking for more health benefits to add to the Watch's wellbeing arsenal. The next Apple Watch (or maybe the one after the next one) could include a UV-IR spectrometer, which is used to detect ultraviolet and infra-red light. Disclosed herein is a sunscreen detector for use with portable device, such as a mobile and/or wearable device. One variation of a sunscreen detector comprises an illumination system that is configured to illuminate a target skin area with ultraviolet and/or infrared spectrum light and a sensor system that is configured to detect the amount of ultraviolet and/or infrared spectrum light that is reflected from the target skin area. The sunscreen detector is configured to analyze the data collected by the sensor system to generate a notification to the user as to whether they should apply sunscreen. This clearly states the patent is for a sunscreen detector for use with a portable device, so right off the bat, we know it won't be built directly into the Apple Watch. It then goes onto state that measuring the amount of infra-red light reflected from the skin is an accurate way of measuring whether enough sunscreen has been applied. Your Apple Watch will then be able to generate a notification, telling you to apply more sunscreen. That's not all Apple has in store, Apple Insider also spotted a second patent application for an "auxiliary electronic device attachable to a wearable electronic device". This application outlines a device which connects to the Watch which can transmit what they sense to the other device. The patent application also suggests this could be used to transmit power to the wearable device. It looks like this could be the official additional battery many users have been waiting for. The patent states this external device could be largely hidden from sight and would use alignment magnets to hold it in place. Exciting times ahead for the Apple Watch then, as Google, Samsung and other manufacturers struggle to keep up with Apple's smartwatch.